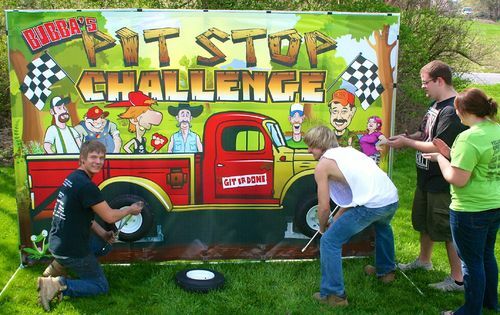 Bubba's Pit Stop Challenge is a hoot for all the good ol' boys (and girls). Challenge a buddy and see who can change the tire the fastest. Both kids and adults have a blast with this fun game!